With little time left, Japan does not appear ready for concessions that would make the TPP viable. Japan and the U.S. have been pushing forward with negotiations on the Trans-Pacific Partnership since late last week, as the two allies seek to find agreement on the key sticking points of trade barriers in the agricultural and automotive industries before the prospective group’s year-end negotiation deadline. While the TPP involves 12 Pacific Ocean nations, the resolution of Japan’s protection of these two domestic industries with its largest trade partner in the bloc would dramatically improve the chances of an overall agreement. The strong political and security alliance between the U.S. and Japan should also improve their chances of successfully negotiating economic issues. Nonetheless, Japan does not appear willing to completely remove the high tariffs on its five “sacred” agricultural industries. Last week during negotiations in Washington, the two sides said they were in “the final phase” of TPP-related auto industry trade talks. Yet Japan’s ambassador in charge of economic diplomacy, Takeo Mori, somewhat muddied the waters when he said that it was desirable to reach an agreement on auto industry and agricultural trade at the same time, according to the Jiji Press. Minister of TPP Affairs Akira Amari also said he hoped both issues could be resolved by early October through ministerial level talks with U.S. Trade Representative Michael Froman. However, on Tuesday during bilateral farm industry trade talks, the Agriculture, Forestry and Fisheries Minister Koya Nishikawa requested concessions from the U.S. in its key industries. He told a press conference that “If economic cooperation progresses without causing pains to the agriculture, fishery and forestry industry, it would be better to conclude an agreement early,” and that “I hope the United States will take a step” toward an agreement giving concessions to Japanese import restrictions and tariffs. The U.S. for its part is seeking to get Japan to agree to the lowest possible trade barriers, with Japanese government sources saying the U.S. might arrange a state visit to Washington for Prime Minister Shinzo Abe to discuss trade and security issues with President Barack Obama in January. However, the meeting would likely only happen if TPP negotiations were successfully concluded beforehand. According to the source that spoke with the Kyodo News, both sides believe the APEC summit in Beijing on November 10 and 11 is likely the deadline for a successful conclusion of negotiations. However, with the U.S. mid-term elections occurring earlier in the month, the likelihood that the U.S. and Japan will reach a meaningful compromise is slim. To give an example of the scale of Japanese agricultural tariffs, and thus the barriers to a TPP deal, beef industry negotiations are instructive. Japan recently concluded a FTA agreement with Australia in April. Under the rules of this agreement, Japan’s 38.5 percent tariff on beef would be reduced to 19.5 percent for the frozen variety of this product. That reduction would take 18 years to be fully implemented and would still be subject to higher tariffs if imports exceeded a prearranged amount. If a reduction to 19.5 percent over 18 years constitutes bilateral free trade for Japan, it will be very difficult for Tokyo to negotiate lower tariffs with a much larger group of countries, across several other equally sensitive agricultural sectors. Japan is seeking to improve its agricultural efficiency, and thus vulnerability to cheaper imports. Large portions of Japan’s arable land are lying fallow as farmers grow too old to work or move away from rural areas. The Nikkei estimates that some 400,000 hectares of farmland, or an area roughly the size of Shiga prefecture, goes unused. The government is attempting to address this by doubling or tripling the small current tax on fallow farms, yet it would eliminate the tax for farmers who allow land banks to sublet their fields to other farmers or groups looking to expand. 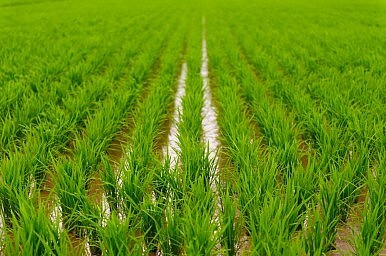 However, like many of the government’s other plans to improve Japan’s agriculture, this policy would only be effective long after the current TPP negotiations. The chances that Japan will be able to reduce its trade barriers low enough to satisfy the U.S., let alone the other prospective TPP members, by the end of this year are becoming increasingly remote. Japan’s request for U.S. concessions speaks to that. Conversely, were Japan’s Pacific trade partners to weaken the restrictions on tariff reform enough to accommodate Japan’s protected industries, the effectiveness and utility of the entire agreement would likely be compromised. As negotiations stand right now there is little chance of the TPP being finalized by the end of the year, and quite possibly for much longer. Japan Holds Off US Auto Tariffs. But at What Cost to Farmers? In an effort to spare Japan’s auto industry from U.S. tariffs, Abe launched bilateral trade negotiations with Trump in New York.